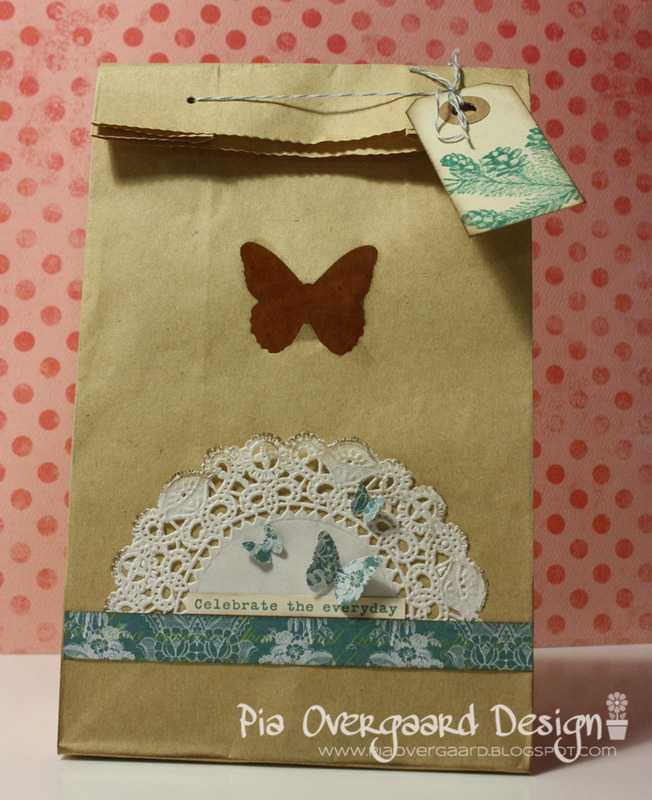 Just sharing a giftwrap I did yesterday for a friend. I love kraft paper bags - so easy to decorate and it goes with everything! 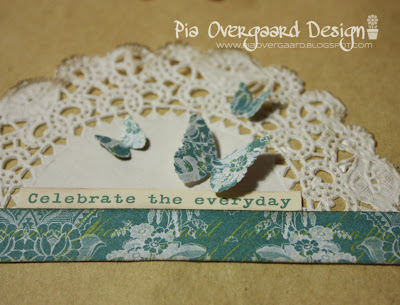 I punched a MS heart in the middle for some extra interest and I used a smaller similar MS punch for the mini butterflies, punched in lovely Webster's Pages paper. The little sentiment is from a Cosmo Cricket Tiny Text sticker sheet. 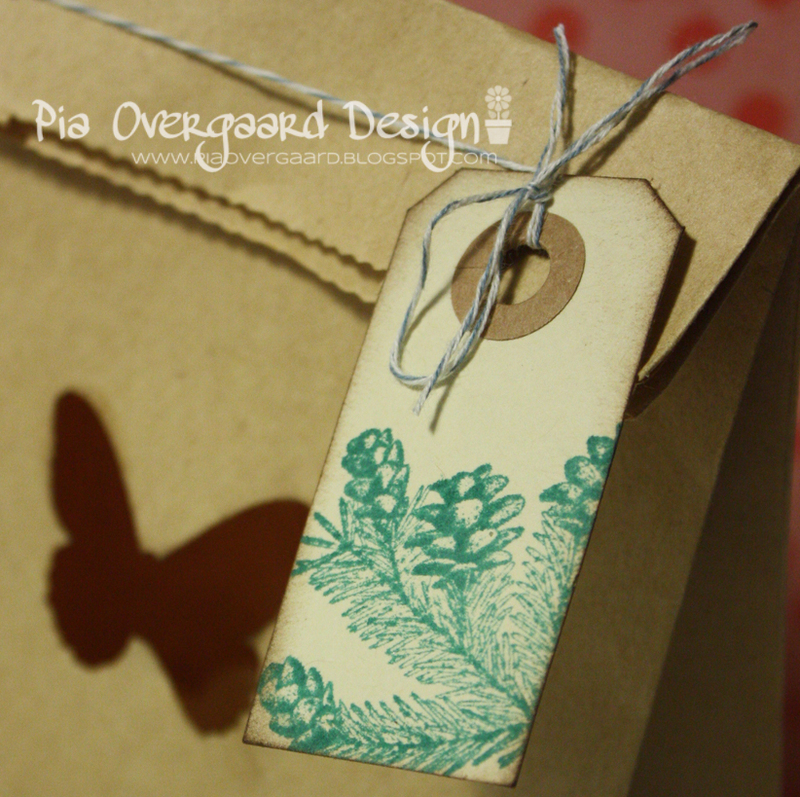 The manilla tag i stamped - using the fab special edition distress ink "evergreen bough" - love that color! Thank you so much for stopping by at the Lawn Scaping blog hop and thank you for your lovely comments! I loved reading all of them! SUPER !!! smuk og enkel gave pose. Super smuk pyntet gave pose... så fint med kage servietten her.